While your syllabus serves as an official document for your course, it is far more than a sheet of policies, procedures and assignments. (For the Academic Senate's syllabus guidelines, click here.) Beyond covering the nuts and bolts of a class, your syllabus introduces your course to students and serves as a central reference and planning tool throughout the term. As such, it is useful to spend time crafting your syllabus and reviewing it with your colleagues. A clearly written and specific syllabus with a friendly, inclusive and engaged tone goes a long way toward making your students feel welcome and supported in your course. As research in the learning sciences strongly shows, “when students find positive value in a learning goal or activity, they are likely to be motivated to learn” (Ambrose, 5). Your syllabus can do much to foster a positive attitude toward learning in your course. Beyond its benefits to students, a well-designed syllabus can also serve as a resource for other instructors who are planning similar courses. 1) It lays out the promises or opportunities the course offers to students. What kinds of questions will the course help students answer? What kinds of intellectual, physical, emotional, or social abilities will the course help students develop? 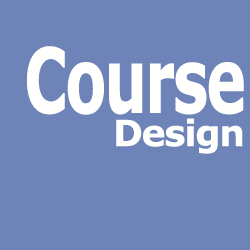 A promising syllabus answers these questions by drawing directly on the course learning objectives developed during the earlier course design stage. 2) It explains what students will do to realize the promises of the course. Rather than relying on prohibitive language with excessive warnings or threats, a promising syllabus emphasizes student agency and potential achievement and the degree to which this agency is embedded in the assessments and activities for the course. 3) It summarizes how both the instructor and the students will understand the nature and the progress of the learning. More than a list of grading criteria or point values, a promising syllabus offers suggestions for how students can succeed in the course, if they are willing to put in the effort. Drawing on Bain’s characteristics of a promising syllabus, try crafting statements that present a context and rationale for the logistical information and policies detailed on your syllabus. Let your teaching philosophy come through in the syllabus! How and why do we decide to part with our hard-earned money to own the latest electronic gadget, or decide to pass on it? Why do we choose to take up some new practices but not others? Who tends to jump in to a new product or idea sooner and who tends to wait until much later? What determines whether an innovation becomes broadly accepted or becomes a forgotten historical oddity? Do inferior innovations sometimes become successful while superior innovations fail, and why? Is it possible to influence the choices that people make about innovations? Can we distinguish between beneficial and harmful innovations, and then learn to promote adoption of beneficial innovations and to discourage adoption of harmful innovations? In this course we will tackle these questions, which are essentially communication questions that are highly relevant to our daily lives and very possibly your career as a communication professional. As we answer them together, we will be honing your critical analysis skills as applied to innovations and developing your ability to actively shape others’ responses to innovations. Although these skills (as is true with other communication skills) could be used for self-serving or antisocial ends, our focus will be on applying them to pro-social issues. My intent is that you will leave this course with the ability to be a skilled and effective agent of change. I also hope that you will be motivated to use those skills to make the world just a bit better. · How are discussions of language, literacy, and culture deeply rooted in broader social and political contexts? · How do issues of language, literacy, and culture relate to education? · How are our own perspectives about language, literacy, and culture influenced and challenged by disciplines such as anthropology, linguistics, political theory, feminism, and critical pedagogy? · How has the digitalization of contemporary life shaped notions of language, literacy, and culture? Second, it seeks to provide you with the opportunity to develop your own theoretical positions on educational issues that most interest you. To this aim, many of the course assignments (including the final essay) are designed to articulate how theory works for you. We will spend the last three weeks of the course reading selections from other theorists and researchers we’ve become interested in through our own research, and we will share our results in oral, written and visual forms. The goals of this class are to expand on what you already know about language and cultural diversity, including your own experiences, and to critically examine aspects of diversity with which you are not already familiar. Language and cultural diversity are strongly influencing and being influenced by education in the US. Learning more about these influences and these people will help you better understand and meet their needs as school children and their families in the schools where you will one day teach. This class will be driven primarily by discussion of the assigned readings and a workshop format that enables students to share their ideas at various stages of composition. You will have the opportunity to contribute in a number of ways: active discussion during class; posting comments on i-learn; and writing short response papers to share with other students. Given that this is both an introduction to the major and a core course in Liberal Studies, there should be little doubt about the importance of completing the assigned reading and writing assignments carefully and punctually. Along with the times and location for office hours, you might include a statement about why students would want to utilize office hours and your willingness to meet with them to support their learning. I am very happy to meet with you during office hours and to confer with you by email. If your schedule prohibits you from attending my office hours, please make an appointment to meet with me. Always bring printed material for any writing you would like to discuss. It is important to provide students with details and deadlines for course assignments and the grading criteria used to assess them. It is also helpful to articulate the purpose and context for doing the assignments. Statements that offer a rationale for the assignments help students grasp the link between course work and course mastery. To stimulate your learning and to support your progress toward these course objectives, I’ve designed a variety of learning experiences (usually called “assignments”). These have been carefully constructed to provide numerous opportunities for you to understand, evaluate, and apply the ideas that are central to your success in this course. All are pertinent and valuable, although not all involve “points” that will directly affect your grade (see “Progress Monitoring” section). The ones involving points are described below, and they often involve (1) reflection, and (2) collaboration. Ambrose, Susan A. (2010). How Learning Works: Seven Research Based Principles for Smart Teaching. San Francisco, California: Jossey Bass Publishers. Bain, Ken (2004). What the Best College Teachers Do. Cambridge: Harvard University Press.